When I first learned that director Ridley Scott was revisiting his Alien series with a prequel, I immediately introduced myself to the series. I’m glad that I did. Alien was a visionary piece of film, and its sequels would launch the careers of James Cameron (Titanic, Avatar) and David Fincher (The Social Network, Fight Club) respectively. Prometheus promised to give context to the original trilogy. It doesn’t disappoint. Elevated by brilliant cinematography and awe-inspiring visuals, Prometheus is a masterpiece of spectacle and terror. It is the anti-Avatar with its barren landscapes and cynical tone. It is as thought-provoking as it is horrifying. In other words, it’s everything it’s meant to be and more. When Doctors Elizabeth Shaw and Charlie Holloway discover several ancient cave paintings from diverse civilizations, all indicating visitors who came from space, the Weyland Corporation agrees to fund a mission to discover the solar system portrayed in the paintings. As you might have guessed, what they find is not the friendly “gods” they imagined. What follows is arguably the most shocking experience I’ve had in the cinema. I saw things I’ve never seen before, and isn’t that why we still go to the theater? Those hoping for answers regarding the Alien series will have many more questions by the end credits, and that is the film’s one glaring flaw, if you can call it that. Noomi Rapace gives a completely engrossing performance as Doctor Shaw, the film’s heroine, and Michael Fassbender nearly steals the show as a devilishly enigmatic android named David. Charlize Theron and Guy Pearce lend star credence to the cast, offering haunting portrayals of their own. 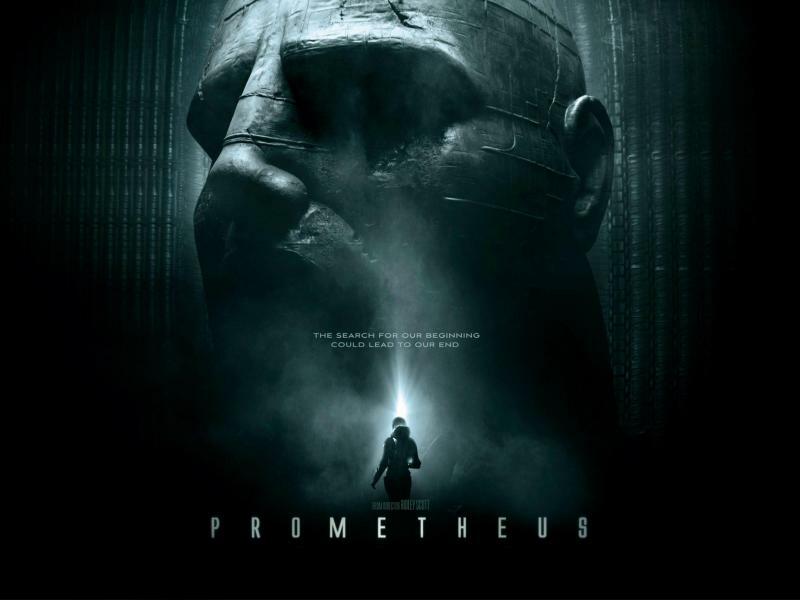 Through its first ten days in wide release, Prometheus has collected about $90 million in the United States and another $130 million in the foreign box office on a $130 million budget. But what struck me, even more than the plot of the movie and the new possibilities it opened, was the questions the film posed, as well as the mythological and spiritual undertones. The name of the central spaceship, and of the movie itself, has deep mythological roots. In Greek lore, Prometheus formed mankind from clay and then introduced humans to the power of fire. As punishment for giving mere mortals this power, Zeus had Prometheus chained to a cliff. Once a day, a large bird would come to pick at Prometheus’ liver as a perpetual torture. There are striking similarities to the Biblical account of creation in which God formed mankind out of the dust of the earth. But it also recalls non-canonical writings like the Book of Enoch, which is of unknown origin. In the Book of Enoch, demons assume superhuman form and share their knowledge with humans. Sound familiar? The account of Prometheus’ punishment even mirrors the prophecies in the book of Revelation, which says Satan will be released from the bottomless pit only to be later chained in Hades forever. 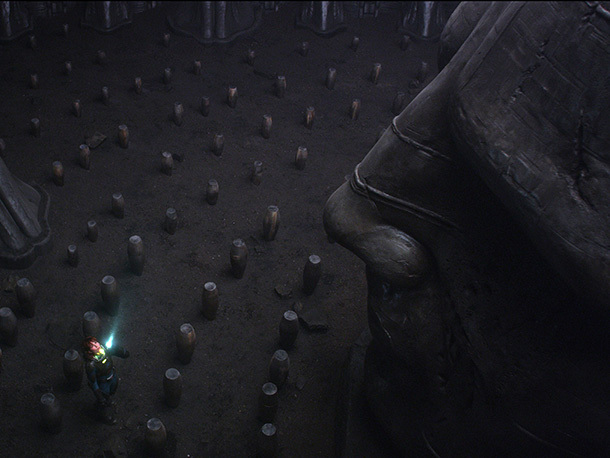 The god Prometheus has ties to both God and Satan of the Bible, as do the “Engineers” in the film Prometheus. Whether the accounts be from the Bible, Greek mythology, scientists, or a hit movie, they all pose fundamental questions: Where do we come from, and why were we made? Ridley Scott, who recently converted from Atheism to Agnosticism, says that nearly half of the scientists that he has interacted with or read, say that there must be something more than Darwinian Evolution. According to Scott, a growing number of scientists are increasingly finding the theory ridiculous. In his mind, there almost must have been some creative intelligence behind the existence of mankind. When you study the complexity and the miracle that is life, it’s difficult to think otherwise. A growing number of people, including renowned atheist Richard Dawkins, posture that life must have been “seeded” on earth, which Prometheus certainly gives credence to. Whether Ridley Scott believes this is unclear, but the movie acknowledges that even if extraterrestrial beings did seed life on earth, it only moves the questions of origins to another race and another planet. In other words, where did the aliens who created us come from? It still allows for the possibility of a God. It is therefore only fitting that the two scientists in the movie are Atheist and Christian respectively. When it appears early on in the movie that the “Engineers” have all died, the Atheist is devastated, even though he has made the greatest discovery in the history of mankind. His questions will never be answered. In his mind, there is no meaning, no purpose. But the Christian scientist didn’t need those answers. Though she thirsts for knowledge, she is satisfied by her own faith. It’s not exactly the pat answer of a fundamentalist Christian, but it does speak to mankind’s basic needs, though Prometheus seems to be saying that none of us can know for sure; we can only choose our beliefs. Everyone wants truth. Everyone asks the questions. Where did I come from? Why am I here? Is there more than this short, brutal life on earth? Am I alone? Is there a life after death? Where do I get my answers? Can any of us really know? Regardless of what you believe, this movie will make you think. What do you believe? Do you have your answers? Are your answers reliable? A film that poses these questions in such a powerful way is a very good film indeed. Note: This movie is rated R for strong violence, disturbing images, and some language.